Orbitting Earth, in the lawless confines of space, an extreme form of animal testing is taking place. 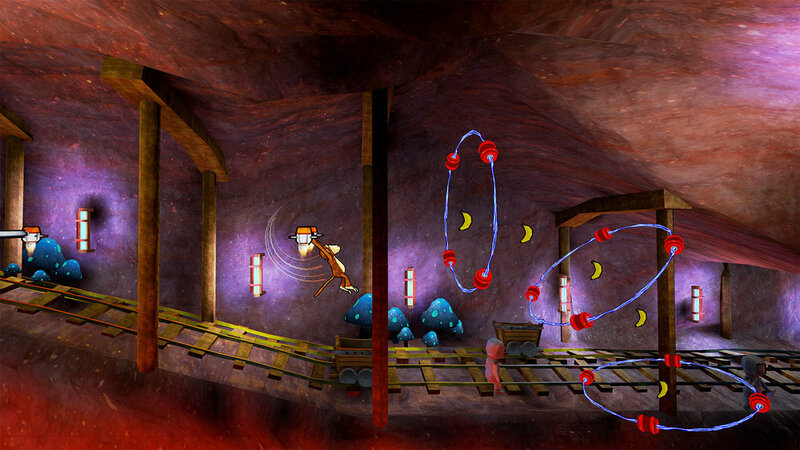 Lead your monkeys through the Chimperium Space Program; a set of extreme challenges preparing monkeys for space. A perfect blend of twitch controls and lateral thinking – time your swings to make it to the next chamber alive!